For people who worry about the collapse of the mainstream media and its impact on Democracy, the silver lining is the collapse of the mainstream media and its impact on Democracy. We speak, of course, of the New York Times and how it has conspired with Michael Bloomberg to further corrupt our political system, Bloomberg by bribing and bullying his way onto the ballot, and the paper not only for failing to hold him accountable but for rooting him on. The front-page piece on Bloomberg’s golf game and the front-page photo op of “Mike,” standing alongside Colin Powell at the counter of a hot dog joint, gloved hand clutching a few dollar bills, treating Powell to a hot dog could have been prepared by Howard Wolfson. Digging out from under the mountain of rubbish that the old gray lady spews forth daily has become too tedious and our shovel too small to do much more than scrape away at the surface. Mayor Cory A. Booker of Newark has been one of Mayor Michael R. Bloomberg’s most vocal supporters this campaign season, stumping with him on at least four occasions, including a whirlwind tour of African-American churches in Queens on Sunday. Perhaps Mr. Booker was trying to show some gratitude. On April 17, Mr. Booker, a Democrat, crossed party and state lines by endorsing Mr. Bloomberg, an independent running as a Republican, in Harlem. About a month later, Mr. Bloomberg’s longtime accountant contributed $26,000 — the maximum allowable — to Mr. Booker’s re-election committee next year, according to campaign finance records. Technically, the contribution to Mr. Booker’s 10-member slate, which includes 9 Municipal Council candidates, was made by Martin J. Geller, Mr. Bloomberg’s accountant. But Mr. Geller has long had a habit of contributing money to candidates or committees that the mayor supports, with $100,000 in 2007 to Senate Republicans in Albany being one notable example. The contribution is only the second one that Mr. Geller has made anyone in New Jersey politics. In 2005, he gave $2,000 to the campaign efforts of the Assembly Republicans in Trenton. At that time, Mr. Bloomberg was still registered as a Republican. A spokeswoman for Mr. Booker, Desiree Peterkin Bell, added that several members of Mr. Booker’s staff have worked in the Bloomberg administration. “Since 2006, both men have publicly praised and respected each other’s leadership — they have and both will continue to be supportive of each other in the future,” she said in a statement. Mr. Booker is hardly the only Democratic elected official who has not supported William C. Thompson Jr., Mr. Bloomberg’s Democratic opponent. But he has been one of Mr. Bloomberg’s most avid supporters, regardless of party affiliation, and has campaigned almost as much in New York recently for Mr. Bloomberg as he has in New Jersey on behalf of Gov. Jon S. Corzine, a Democrat. Never was Mr. Booker more effusive, perhaps, than on Sunday when he traveled with Mr. Bloomberg to African-American churches in Queens, presumably to put some distance between some controversial remarks that former Mayor Rudolph W. Giuliani had made the week before about crime when he was campaigning with Mr. Bloomberg. “My big-brother mayor,” Mr. Booker said in describing Mr. Bloomberg, during a rousing address at Rev. Floyd H. Flake’s Greater Allen A.M.E. Cathedral in Jamaica, Queens. There are no other records, at least so far, showing that other politicians who have endorsed Mr. Bloomberg have also received contributions in recent months. But campaign finance experts caution that a full accounting won’t be available until after the election. Now the action shifts to the legislature. Financed by real estate developers, landlords and the looming threat of a Bloomberg-financed campaign to deregulate and privatize of what remains of New York’s affordable housing stock, and to finance candidates who agree with his luxury city vision, will the legislators — Democrats and Republicans — cash in their constituents? Stay tuned. 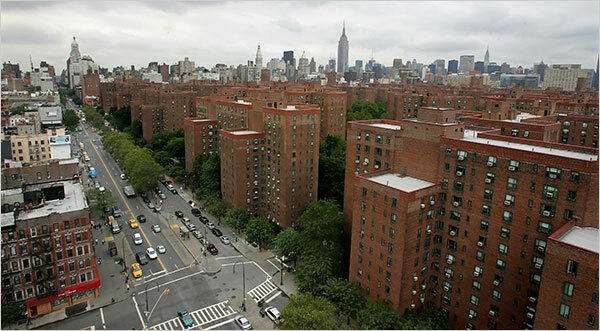 The state’s highest court dealt a financial blow on Thursday morning to the already beleaguered owners of the sprawling Stuyvesant Town and Peter Cooper Village complexes in Manhattan when it ruled that they improperly began charging market rents on thousands of apartments. The ruling by the Court of Appeals may mean that the current owner, a partnership of Tishman Speyer Properties and BlackRock Realty, and the former owner, Metropolitan Life, may have to pay an estimated $200 million in rent overcharges and damages to tenants of about 4,000 apartments. The “study” on which you reported in the Crain’s article [“Study: Owners of rent-stabilized buildings regular folks, Oct. 20, 2009] is a lesson in falsehoods. The groups who commissioned the study are groups of landlords, so naturally the study reflects what they want to have said. In this case, the “study” talks about “owners” but not “properties.” Why is there an enormous difference Because one “owner” can own many, many “properties” (just look up Tishman-Speyer, for example). In addition, a “family business” is whatever the owner decides it is; many so-called “family businesses” are in fact privately-owned but very large corporations. If the study were legitimate, it would show how many rent-stabilized properties have absentee landlords. The one figure, that “31% [of owners] actually live in the buildings they own,” fails to take into account landlords who own more than one building — they can’t live in all their buildings. How many buildings rent-stabilized buildings have their owners living in them? Of course the study doesn’t say, but it’s a long-odds bet that the number is miniscule. Finally, the “study” claims that, “Roughly 60% of owners said revenues exceeded operating costs.” The key word is “said” — owners say one thing, but that doesn’t make it the truth. The fact is that between maintenance, heat, water, property taxes and other “operating costs,” the typical apartment costs less than $700/mo., while the typical rent is significantly higher, so 40% of the owners may have “said” that they don’t make money, but that is clearly not an accurate statement. Seriously, if you’re going to report propaganda as straight news you should quit your job and stop pretending to be a journalist. You blew this one; now let’s see if you can make up for it. THOMPSON: I think it is unfortunate that the Mayor and Rudy Giuliani have resorted to the politics of division, the politics of fear. How Lynne Serpe Can Beat Third Term Wannabe Peter Vallone Jr. Faced with no primary opponent, Democratic incumbent Councilman Peter Vallone Jr. thought he would cruise to his third term in office. Vallone, who holds the same Queens seat his father held for almost three decades, had only $40,000 on hand a few weeks before election day, and decided to forego matching funds, figuring that they were a waste of taxpayer money. But that was before Lynne Serpe, a 38-year-old environmental activist and Green Party candidate for the seat announced that she had $100,000 on hand and qualified for over $70,000 in matching funds.